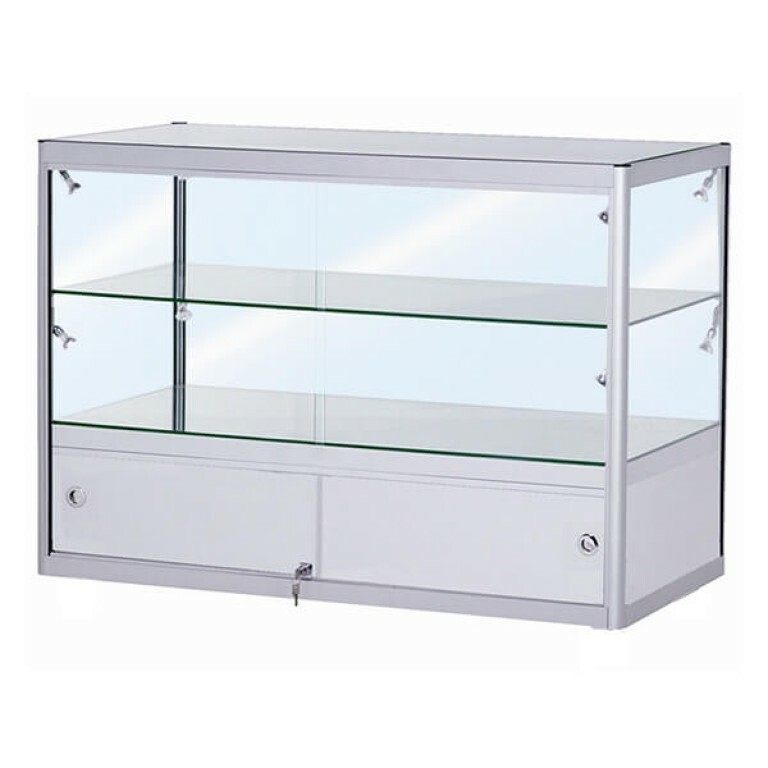 Glass display cabinet with double tier lockable glass display area, below is a single tier lockable storage cupboard. Finished in a silver anodised aluminium style. The glass side panels are made from a 6mm tempered safety glass and the shelves use an 8mm tempered safety glass. Glass display cabinet with double tier lockable glass display area, below is a single tier lockable storage cupboard. Finished in a silver anodised aluminium style. The glass side panels are made from a 6mm tempered safety glass and the shelves use an 8mm tempered safety glass. The cabinet includes eight 20W halogen lamps with an integral power switch. Each unit arrives flat-packed including clear instructions for self assembly. All cabinets have adjustable feet to ensure the product is level once errected.